Our puppies are very important to us. We want to make sure that you understand the commitment you are taking on when purchasing a puppy. Please expect that we will ask questions regarding the home that you will provide them, and together we will help point you in the right direction of which puppy will suit your needs specifically. Our dogs bring us pure joy on a daily basis, but that only happens when the proper training is given. Please don't leave this to something for the future to think about, you will want to have a plan so that you and the puppy, learn together. 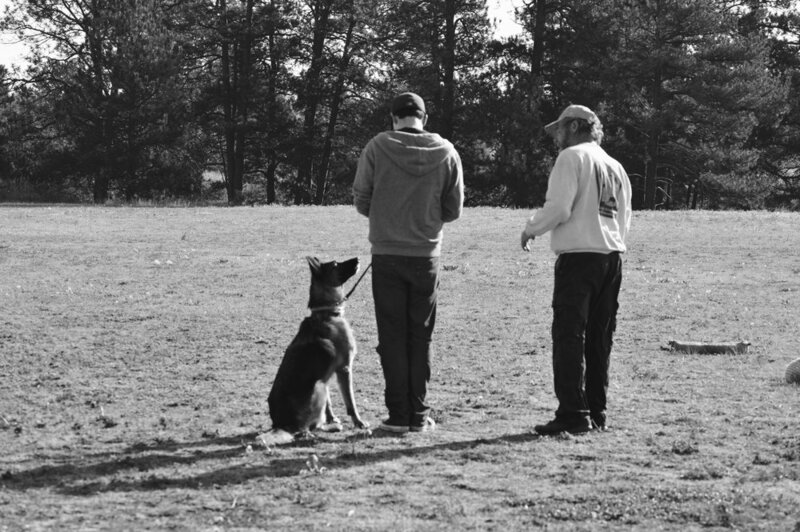 Our trainer is one of the best Schutzhund trainers in the region, as well as, working with basic dog training techniques. Please ask and we are happy to refer you. Our breeding program is designed around bringing beautiful, socialized puppies to your family. From our past experience, we have purchased dogs that were in a large kennel and didn't get that one on one time with humans, and it makes a tremendous difference in their temperament. They are harder to house train, and they bond with other dogs easier than to their owners. From the day they are born here at our home, we make socialization part of their everyday lives. They are played with, exposed to different sights, sounds, and handled multiple times throughout the day. We have horses and cats and other dogs around them so they get comfortable with different animals and different situations. You will be taking home a part of our family with you, so here is what you can expect when purchasing a puppy from us. Our prices ranges from $2,400.00 to 2,800.00 with AKC papers in hand. This is based on limited registration, full registration will be considered on a case by case basis, so please let us know if your intention is to breed. The puppies will be well socialized prior to leaving at 8 weeks old, but of course, you will want to continue their socialization to have a well rounded animal. Our dogs are part of the family, so they will visit the vet for a set of vaccines, de-worming and a general clear bill of health. 100% Support - we want to continue a relationship with you. Please call for any advice or support that we can give you. Microchip - Puppies are sold as companions are sent home micro-chipped for permanent identification. We want your dog to never get lost and this is a great way to get them back if they ever get away from you. Puppy packet - We love to share their lineage with you. Your puppies family history will be included. It will show titles and hip ratings. Date of delivery - We allow the puppies to go home at 8 weeks, as they are prepared to be with you and their new family. If your puppy has to stay longer than the 8 weeks, there will be a boarding fee of $25.00/day. It is extremely important to us that our dogs live wonderful lives with you, and our biggest fear would be that the dog is sent to a shelter, so as part of the contract, we will expect that prior to releasing the dog from your care, you will contact us and give us the opportunity to take the dog. We never want one of our animals in that situation, so we require the option to take the dog back. You will find more information in the contract. We expect that you will give them a safe environment to grow up in. Puppies are adorable, and they require a lot of attention for the first year in their lives. Having a fenced yard to play would be wonderful, but if you can't provide that, you must be willing to take the dog out for exercise on a daily basis. We expect that you will complete their puppy shots and continue their healthy beginnings. Bring your puppy to your vet for a complete check up within 72 hours of owning them is a requirement in the contract. We expect that you will have training provided or you will take your dog through training classes. It is so important to a happy, healthy relationship with your dog. You will feel great joy to be able to bring a well mannered animal with you where ever you go. We are proud to show off our well behaved animals, and we want that for you! There is no greater gift you can give to yourself and your puppy. Please train them.